You can effortlessly exercise your biceps at home, without even purchasing expensive equipment or investing in objects that you will find out they are actually useless within days. So, in case you are one of those retired gym-junkies, who love working out in the privacy of their home, just to make everyone’s jaw drop during their 1st public appearance, you came in the right place. The anatomy of the biceps is quite simple, unlike quadriceps. This is a relatively small muscle with two ends: a long and a short one and its role it’s quite simple. 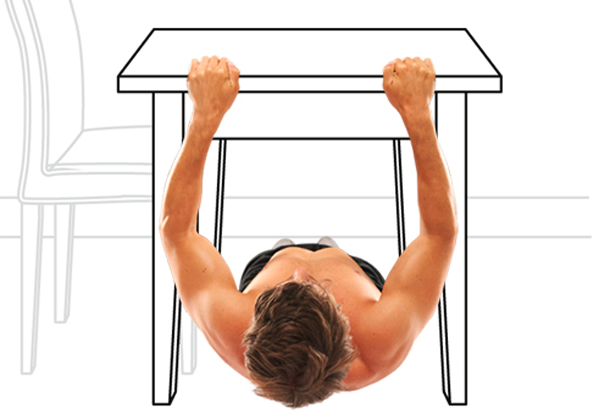 The supination is when the biceps rotate your palms up and the prone is when the biceps rotate your palms down. Just as I mentioned earlier, it makes no sense to perform too many biceps exercises because, these muscles, are not that demanded. Moreover, complicating your biceps program with too many useless exercises will not make these. Long story short: 2 or 3 exercises are enough for these muscles. If you have an adjustable gantry, it's good. If you have two, it's even better. And if you have a dumbbell with a sufficient number of discs, you are the emperor of the universe. However, we do not want to get discouraged if you have no equipment: first, you can practice your biceps by traction. Second, I cannot believe you cannot get a proper exercising device: although the progressive task or constant development is not guaranteed in this case, it is anyway a thousand times better for your arms than nothing. If you have a home and a stable surface to sit on, you can make concentrated flexes or hammer flexes from sitting or standing. Now all you have to do is plan a proper program!. As mentioned earlier: the function of the biceps is not too complicated. So, the program does not have to be complicated either. This will be a basic program, but it's as good as the one you perform in the gym. Make sure you have the required resistance because you will probably progress faster than you expect. This is perfect!, 12 sets in total, with the usual number of repetitions. 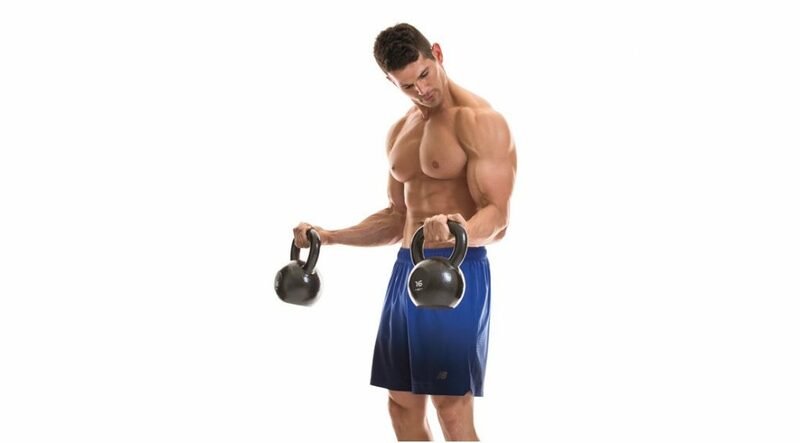 Recommendation: do not overdrive with sets of 6 reps because it will not make any sense. If you want to develop your muscles, you MUST practice with a relatively large number of repetitions. This is one is valid only if you possess a dumbbell. It's not much, is it? In fact, it is. If you do it properly, you will be surprised. Remember: Your biceps do not know if you train at home or at the gym. It does not matter where you make them go through the fires of hell. All that matters is to do it right! From time to time you can give up sets or end up exhaustion. But take care of these: do not apply these tricks too often, because you will get overwhelmed very easily, especially if your biceps get enough on the other days of training.